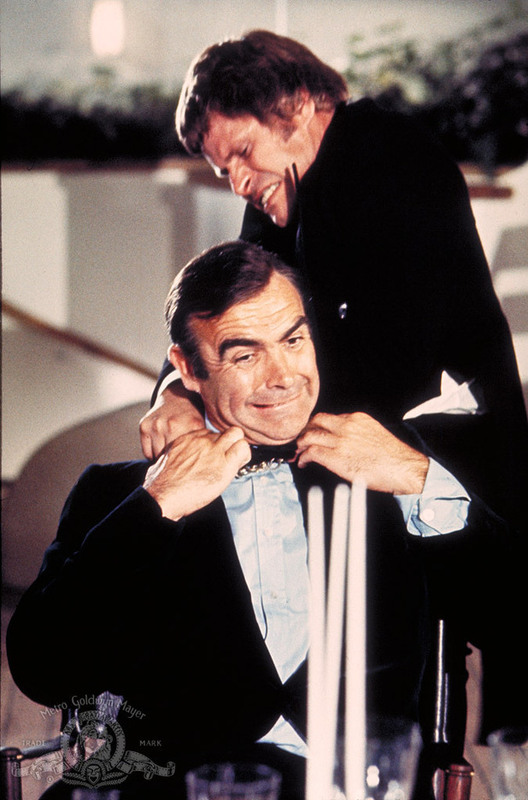 Sean Connery returns as Ian Fleming’s James Bond 007, his last official appearance as James Bond. Never Say Never Again is a remake of Thunderball which was released by Warner Brothers, so it doesn’t count as canon. Sorry. This entry on the 101 Action Movies list follows James as he works to foil S.P.E.C.T.R.E.’s latest villainous plan, using diamonds smuggled out of African diamond mines, and installed on a massive satellite which channels energy through them, in a dangerous, highly focused beam of energy. The action takes 007 across the globe, as the film picks up with his hunt for Blofeld (Charles Gray this time around, not to be confused with his appearance in You Only Live Twice)to extract revenge after the events of On Her Majesty’s Secret Service. From there, 007 becomes embroiled in the diamond scheme, posing as a smuggler, Peter Franks, to follow them to their final destination, from Holland to Las Vegas! Connery seems to be a little tired of the character at this point, though still imbues 007 with charm and fun, sometimes almost verging on self-parody as things get really wacky in Las Vegas, as he meets Plenty O’Toole (named for her father perhaps? Lana Woods) and is assisted by Tiffany Case (Jill St.John). The assassins Mr. Wint (Bruce Glover) and Mr. Kidd (Putter Smith) are a lot of fun, being the film series first openly gay characters. Bambi (Lola Larson) and Thumper (Trina Parks) are also a lot of fun, and really lay into Bond when he shows up at the elusive, and hidden Willard Whyte’s (Jimmy Dean). He`s been spirited away and Blofeld has taken over his empire, basically kidnapping a man who hasn`t been seen in the public eye for years. Blofeld is using Whyte`s empire to build and launch his weapon, which when demonstrated wreaks worldwide destruction. 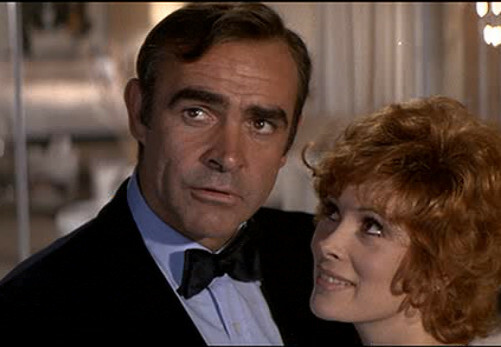 There are gadgets, Q (Desmond Llewelyn), Moneypenny (Lois Maxwell) and yet another Felix Leiter (Norman Burton). There is also a nice car chase down the main Vegas strip (which includes a major film gaffe, fixed by a well-placed sound effect and a tilt of the camera – you’ll know it when you see it). Tiffany Case is one of my least favorite Bond girls, nowhere near as bad as Christmas Jones (Denise Richards) in The World Is Not Enough, but she just doesn’t appeal to me, and Plenty, well, she’s just vacuous. Q gets out of the office this time around and gets to try out some of his own gadgets while helping 007 out in the casinos. John Barry gives us another awesome score, I`ve always enjoyed his work, and Shirley Bassey returns to belt out the title track. 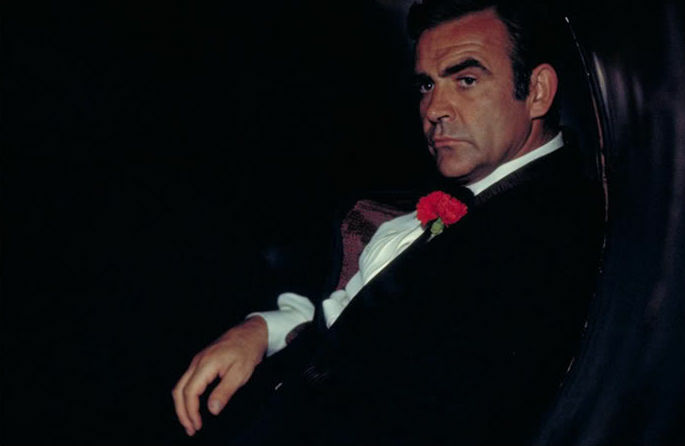 What is your favourite Connery Bond film? Previous Post Battlestar Galactica… Has It Been 35 Years Already?